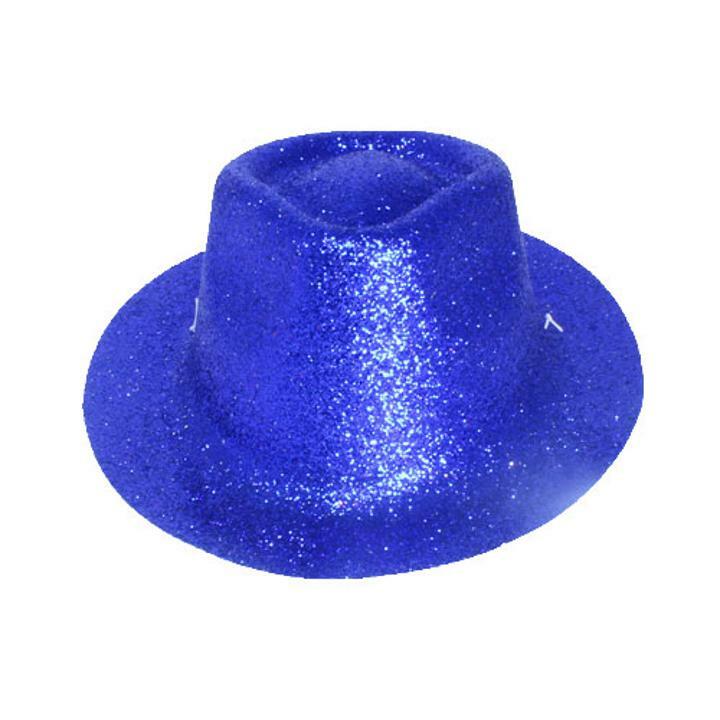 1 Mini Dark Blue Glitter Plastic Novelty Fedora Hat. Awesome Dark Blue Glitter mini size hats are a fun and sparkly way to spruce up your costume or party. See our full line of creative and colorful party hats in holographic print, glitter and animal ears. These hats are great for dress up and parties! Perfect for children costumes, birthday, Halloween and theme parties. This mini fedora hat has an elastic to keep the hat on for hours! ***** This mini hat measures 9" and is meant for novelty use***** Dimensions: 9"x7.5"x4"